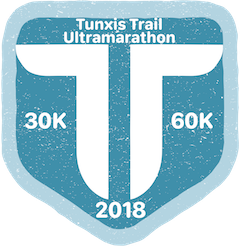 Registration for the 2019 Tunxis Trail Ultramarathon will open January 1, 2019. The race will be Saturday, September 7th, and offers 8k, (5 mile) 30k (18.5 mile) and 60k (37 mile) distances. The course consists of lovely double track, single track, half track, off track, a little bit of road and maybe some prickers, if we don’t get to brush hogging some bits of the trail. This course takes you to all of the “world famous” landmarks of Burlington trails: Sessions Woods, the Great Wall, Mile of Ledges, Tory Den, Johnnycake Mountain, the CT State Trout Hatchery, Perry’s Lookout, Nassahegan State Forest, and Devil’s Kitchen. The race itself ranges all over the hills of Burlington, CT. The race start/finish is at the Nassahegan Recreational Complex, 275 Punch Brook Rd, Burlington, CT. The 30K and 60K course map (subject to revision until August 31st) is available for download. The course is 30K. The 60K does a second lap, but in reverse. The 8K course is to be announced, and will visit either Devils Kitchen or Perry’s Lookout. What are the course limits? The time limits will be 6 hours for the first 30k, and 12 hours for the total 60k race. If you, as a 60k runner, miss the 6 hour cutoff, you will get credit as finishing the 30K race, but we won’t let you back out to do the final loop. The course markings will be minimal, with directional signs at trail changes and at a few confusing points. Runners will be expected to pay close attention to trail markings. The aid stations will be at about every 3-4 miles along the course, placed as feasible near road crossings. This is a cupless race. Please bring your own hydration gear! We are trying to minimize the impact of the race on the forest and community, and the easiest way to do that is to not leave cups lying around. 5-9 PM, September 6th at the race start, 275 Punch Brook Rd, Burlington, CT 06013. 5-5:45 am at the race start 275 Punch Brook Rd, Burlington, CT 06013. The schedule is subject to change up to 4 weeks before race day. There will be no race day registrations for the 60K. No Cups: This is a cupless race. There will be no disposable cups available. You must bring your own containers to drink from, either a collapsible cup, reusable water bottle, or hydration pack. No Littering: Littering is, of course, not allowed on the course. Runners who are caught littering and not remediating it will be given a Did Not Finish immediately. No Trespassing: Some parts of this course are held on private land. Please stick to the designated trails at all times. Course marshals will have the discretion to give a Did Not Finish to runners who leave the course without a justifiable reason. Runners who leave the race course must re-enter the course where they left.